• Gladstone Series: Bradleyboy Mac Arthur – Tonight! Gladstone Series: Bradleyboy Mac Arthur – Tonight! Highlights from the 25th Annual Toronto Blues Society Women’s Blues Revue at Massey Hall are streaming right now on CBC Radio 2’s Concerts on Demand: http://www.cbc.ca/radio2/cod/concerts/20111126women! Relive this historic night featuring performances by Kat Danser, Ada Lee, Emma-Lee, Treasa Levasseur, Shakura S’Aida, and Suzie Vinnick! Tune in for the radio broadcasts – January 12 at 7pm on CBC Radio 2 (94.1 FM), and January 13 at 2pm on CBC Radio 1 (99.1 FM). Have you got your tickets? 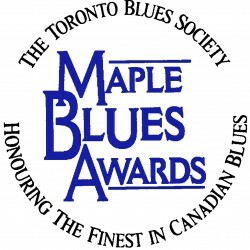 Purchase tickets by visiting http://performance.rcmusic.ca/event/toronto-blues-society-maple-blues-awards or by calling 416-408-0208. If you are a Charter member in good standing, please contact the TBS office before calling Koerner Hall to obtain a special discount code. The member discount code will expire this coming Tuesday so buy your tickets today! In addition to this year’s hosts Treasa Levasseur and Shakura S’Aida, the performers at the 15th annual Maple Blues Awards are Rita Chiarelli, Fathead (pictured), Bill Johnson, MonkeyJunk, and Joe Murphy all backed by The Maple Blues Band! Stick around after the show for a high energy after party with The 24th Street Wailers in the lobby! The national awards show takes place at beautiful Koerner Hall on January 16th, 2012.The Maple Blues Band features musical director Gary Kendall (Bass), Tom Bona (Drums), Michael Fonfara (Keys), Teddy Leonard (Guitar), Chris Whiteley (Trumpet, Harmonica, Guitar), Al Lerman (Harmonica, Tenor Sax), Pat Carey (Tenor Sax), and Chris Murphy (Baritone Sax). 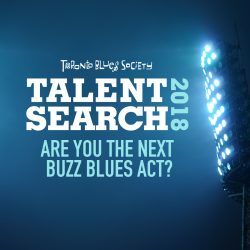 It may be cold outside, but February is host to three hot local blues festivals in Toronto, Aurora, and Barrie! Winterfolk X takes place at various venues in Toronto Feb 17-19 with featured acts to be announced soon http://www.abetterworld.ca. The inaugural Aurora Winter Blues Festival takes place at Theatre Aurora on Feb 25, and features Shawn Kellerman (pictured), Michael Pickett, and MonkeyJunk http://www.aurorawinterbluesfestival.ca. 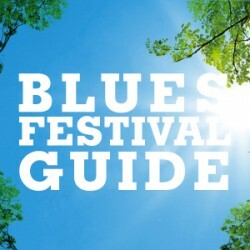 The Barrie February Blues Festival takes place at various venues in Barrie Feb 2-5, featuring Michael Pickett, Steve Strongman, Carlos del Junco, Carey Worrod, The Jack de Keyzer Band, The Paul James Band and more http://www.barriejazzbluesfest.com. Danny Marks (pictured) will host the Guitar Workshop on Sat March 3 at Dominion on Queen (500 Queen St E). Featured guitarists include Donna Grantis and more to be announced in the coming weeks!